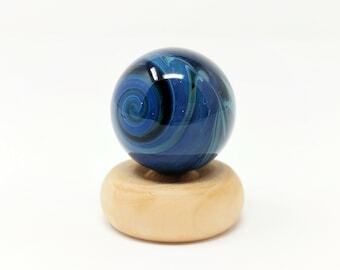 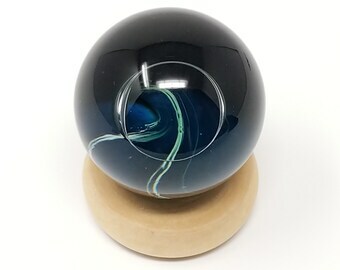 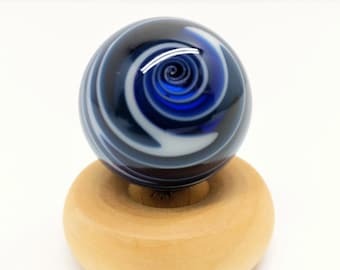 This set of Starry Night Glass Hider Marbles were handspun by Pathways' artist and owner, Sean. 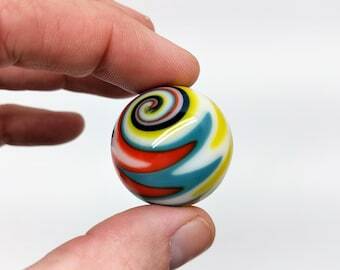 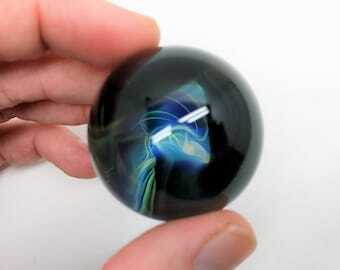 The marbles pictured are exactly what you will receive. 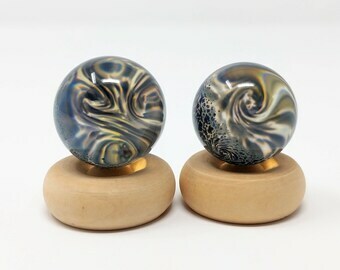 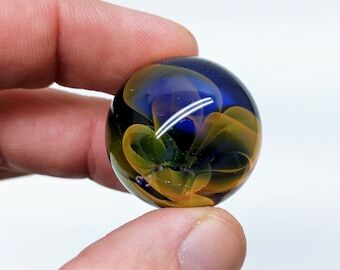 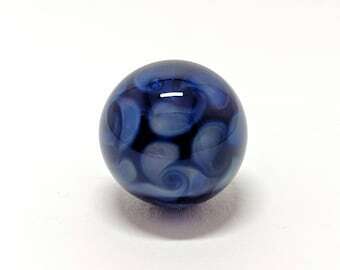 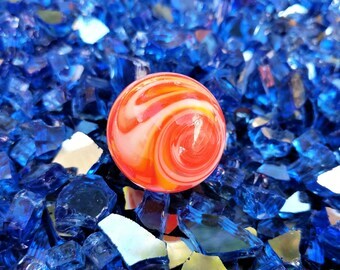 The marbles are beautiful 1.2" Starry Night Pathway Peekers which started with a clear gather of glass backed with 'Black Lightning' glass frit, which produces a nice array of different colors. 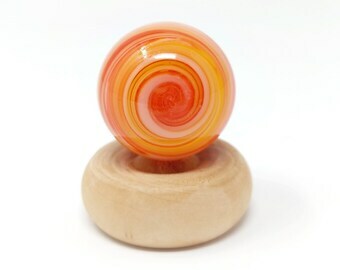 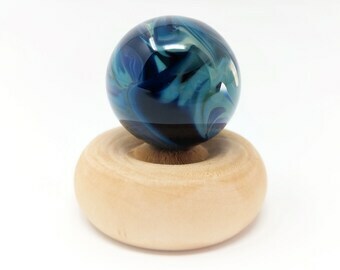 Front of marble has a peeker window to see into the marble, this makes an incredible kaleidoscope effect! 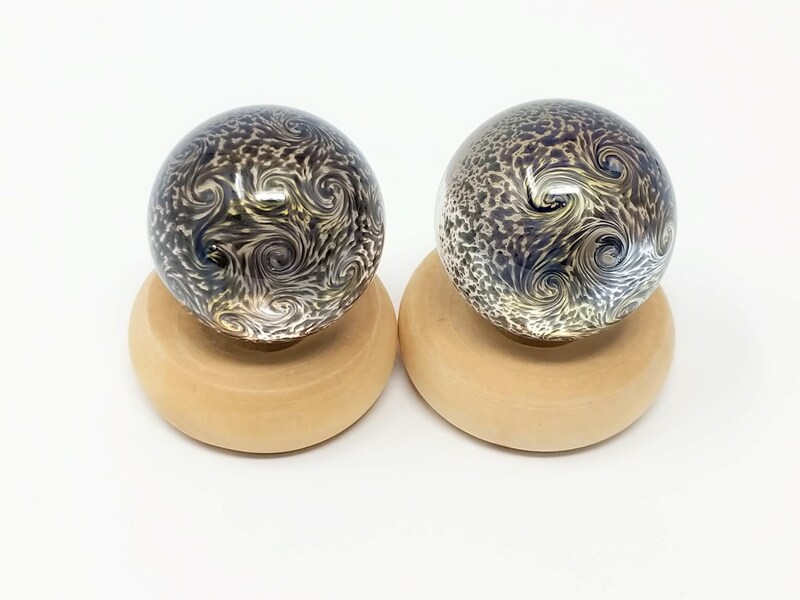 Sections of the frit is then heated until molten and twisted to give the 'Starry Night' effect. 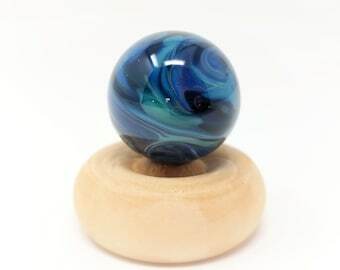 These marbles are part of our hider marble production and may have some small flaws. 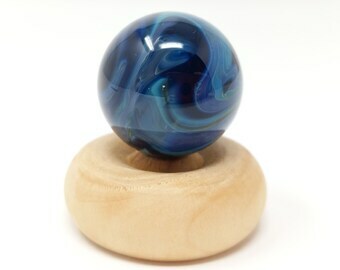 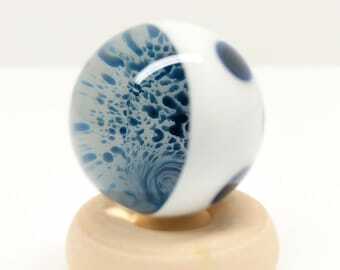 Perfect marbles for the hiders out there!